There is little doubt that the future of solid tumor cancer treatment will be increasingly precise and tailored to individual patients based on specific predictive biomarkers. 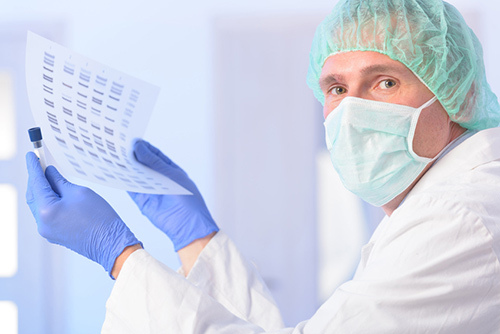 Next-generation sequencing (NGS) technologies, which have become more refined in just the past few years, are a leading breakthrough that has allowed researchers and molecular pathologists alike to shift from querying single genes to panels that can simultaneously examine 40, 50, to even hundreds of genes in one run. This is not to say that NGS will be the silver bullet of personalized cancer treatment, as there is a wide array of genetic tests available today to predict the risk of developing specific cancers and ones that also help target specific therapies to cancer subtypes. Rather, the power of these new sequencing technologies will be to unlock information about the variable nature of solid tumors to help provide clinicians with a better understanding of cancer’s mechanisms. Using this information, they can choose from the rapidly expanding roster of cancer therapeutics, specifically which one is most appropriate to best treat an individual patient based on the genetic profile of their cancer.